LOCATION LOCATION LOCATION!!!! This 4 bedroom home is in a perfect location, close to So. Coast Plaza, the Performing Arts center, freeways, parks, restaurants and schools. It boasts of its fabulous floor plan. Itâs a single level with 3 bedrooms and 2 baths down but has an upstairs loft and bedroom. This loft/bedroom area could have many uses...it is perfect for in-laws, a live in, guests, "a get away area," music room, office, craft room, plus much more! The kitchen is a family style kitchen that is open to a large area that could be for dining or dining and family room combination.The living room is perfect size and opens to the patio and back yard and has a gas/wood burning fireplace. The lot has front and back entertaining areas. The back yard has a covered patio and plenty of grass areas for play or entertainment. The front yard is great for relaxing or entertaining too. There are wonderful plants and trees surrounding the home with more areas to plant or expand. The property is enclosed with block wall fencing. 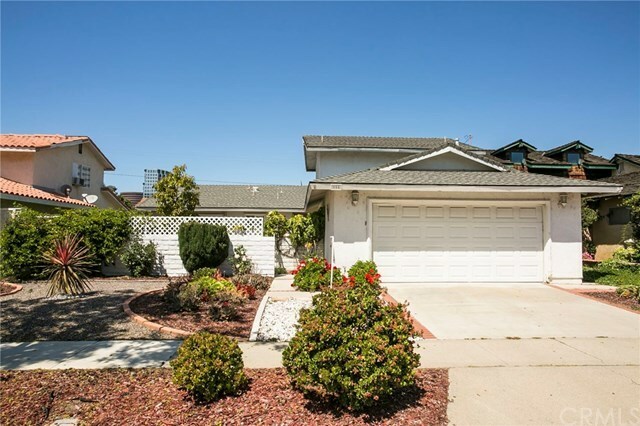 This is a lovely neighborhood and is close to the freeway without the noise. Come see, you will want to call this home. Directions: East from Bristol and West from 55 freeway on Paularino and North on Ludington st. to Sturgeon.